Carrying 6 years of working in the fashion industry, Lugo moves ahead in her career by landing clients such as wardrobing tv commercials for as well as appearing on ION TV Networks herself. Westfield Town Center Mall, Neiman Marcus, Macy's and more. 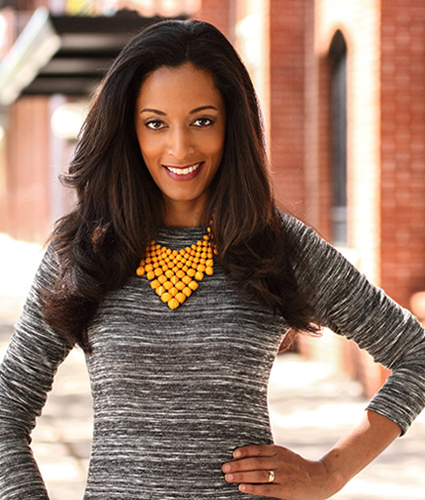 In September of 2014, she launched her style & fashion segments on the ABC Action News, The Now Tampa Bay show. However, Lugo continues to receive numerous invitations to share her expertise with audiences of Fox 13 Good Day Tampa Bay, TBOSEEN.com & TBO (Tampa Tribune) and ABC The Morning Blend Tampa Bay. Due to such exposure followed by contributing style reports, articles, and fashioning magazine editorials Tamy has acquired over 10k followers plus on social media platforms. "Style is the fashion in which we manage our life", she says. In doing so, Tamy has lent her services to The Children's Dream Fund organization, by styling the 'RAYS' team athletes for its annual Rays On The Runway charity fashion show. In 2016 she coordinated a charity styling event in Downtown Tampa to give back to Non-profit organizations such as TORCH, Inc. to become the first of many more charitable events. Yet a very proud moment for Tamy was becoming a Co-Founder of Christian Fashion Week, the only fashion week in history of its kind. As Owner and Creative Director of VStylist, Lugo styles wardrobe for women, men and children of all ages in the Tampa Bay and surrounding areas. Meanwhile she adds style coaching, brand consulting, commercial styling and fashion buying to her skills repertoire.